Short promotional video for the hotel designed to take in all aspects of the venue from meeting rooms to leisure and food/drink to bedrooms. We filmed The Midland as part of a wider project for QHotels that included 14 hotels in their portfolio. The brief was to create a 2 minute promotional taster for each hotel. Situated in the heart of the city, The Midland is a luxury hotel in Manchester like no other. Host to an array of Kings, Queens, Presidents and Prime Ministers over the years, it is one of the most iconic and historic hotels in Manchester. The Midland features 312 bedrooms, two award-winning restaurants, Adam Reid at the French and Mr Cooper’s, an elegant Tea Room, a newly refurbished bar and lounge and 14 impressive conference and meeting rooms to fulfil all your business needs. 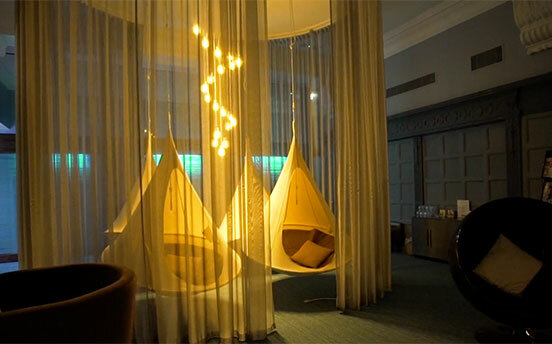 Guests will also benefit from the award-winning spa, The Spa At The Midland with its unique Rasul Spa experience.